The EU Council promises that Ukrainians will be able to travel to the EU without visas in June 2017. 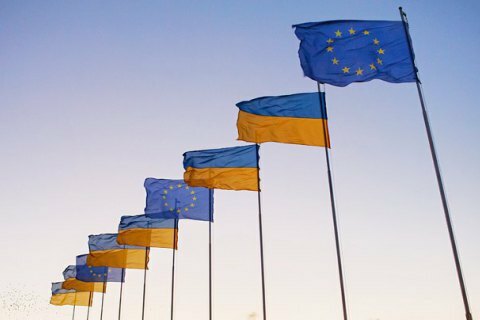 European Parliament Committee on Civil Liberties, Justice and Home Affairs (LIBE) finally adopted on 9 March the draft legislative resolution on the introduction of Ukraine in the list of third countries whose citizens do not need visas to travel to EU countries. Thirty-nine committee members voted for the resolution, one abstained and four voted against. MEP Michał Boni made a short statement before the vote on a trialogue between the European Parliament, the Council of the European Union and the Maltese presidency of the EU in the framework of which last week they agreed on a visa-free regime for Ukraine. He stressed that Ukraine has fulfilled all EU requirements for granting visa-free regime, and "even exceeded expectations." On 2 March, the Committee of Permanent Representatives of EU member states (COREPER) meeting in Brussels approved visa waiver for Ukraine. After the final approval by the EP committee, the proposal is sent to the European Parliament for voting, which is slated to take place on April 5. After that, the document will be submitted for adoption by the EU Council which has promised earlier this week that Ukrainian citizens will be able to travel to EU countries without visas already in June 2017. The European Parliament's Committee on Civil Liberties, Justice and Home Affairs (LIBE) has approved an agreement on visa liberalization with Georgia.